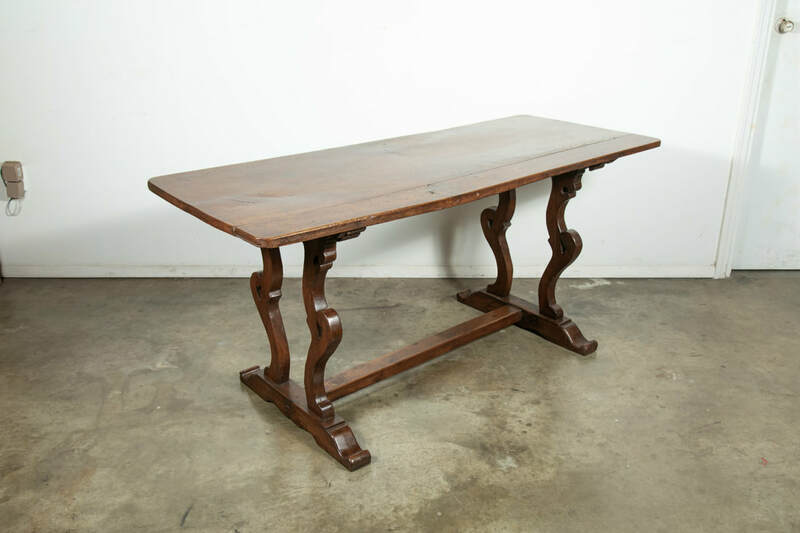 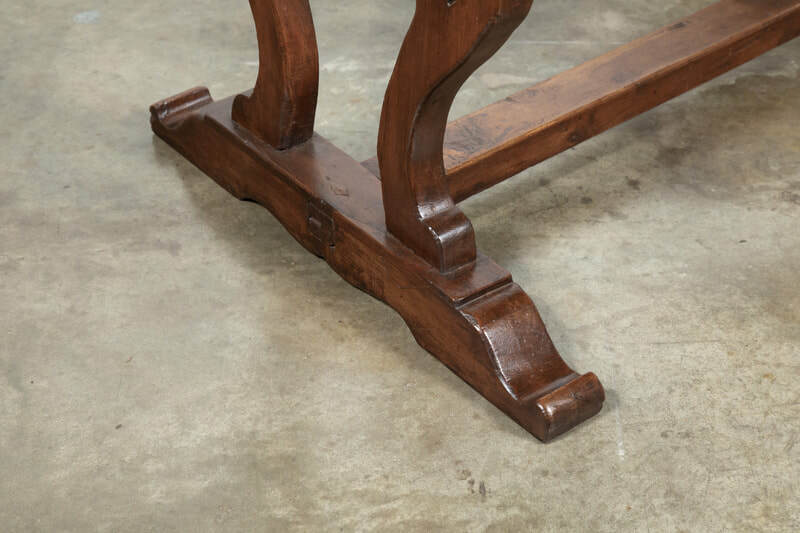 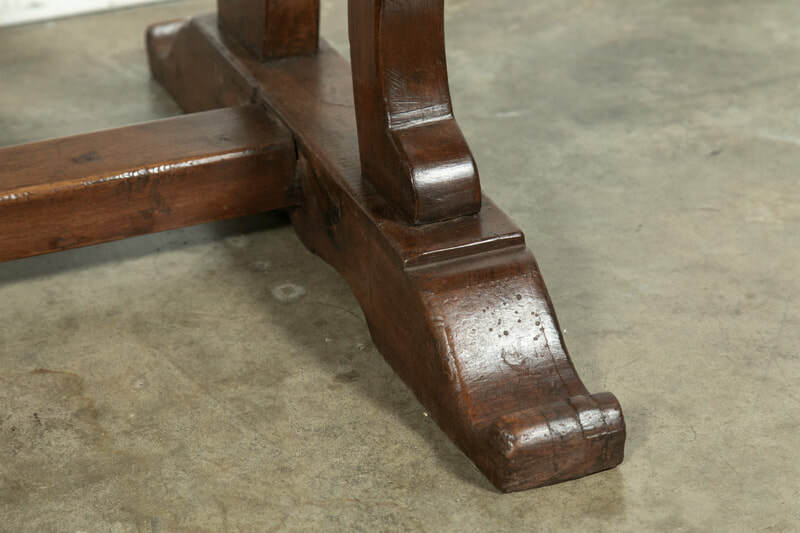 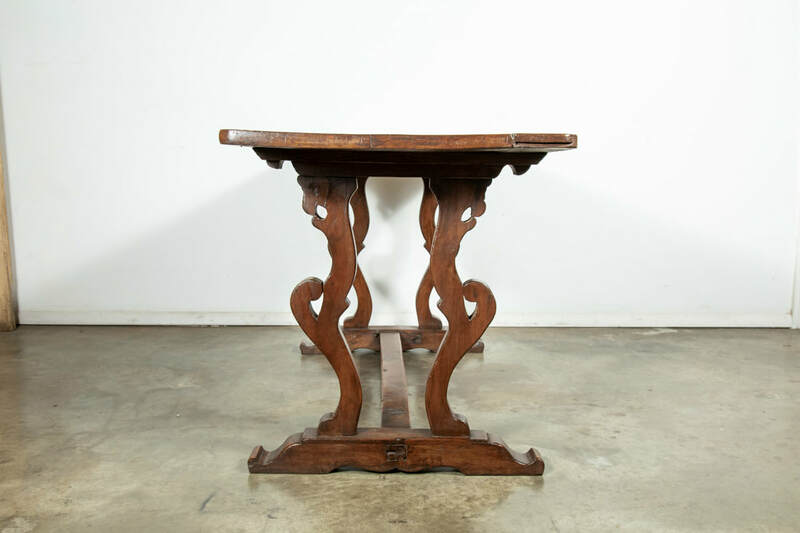 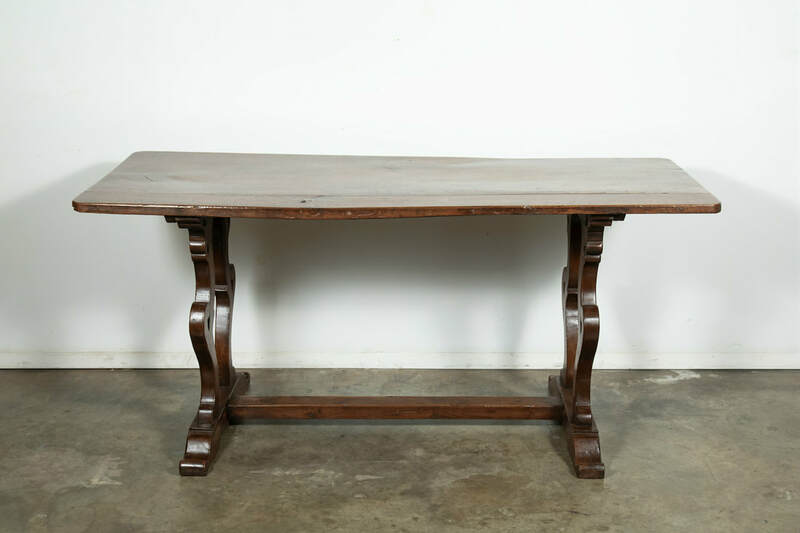 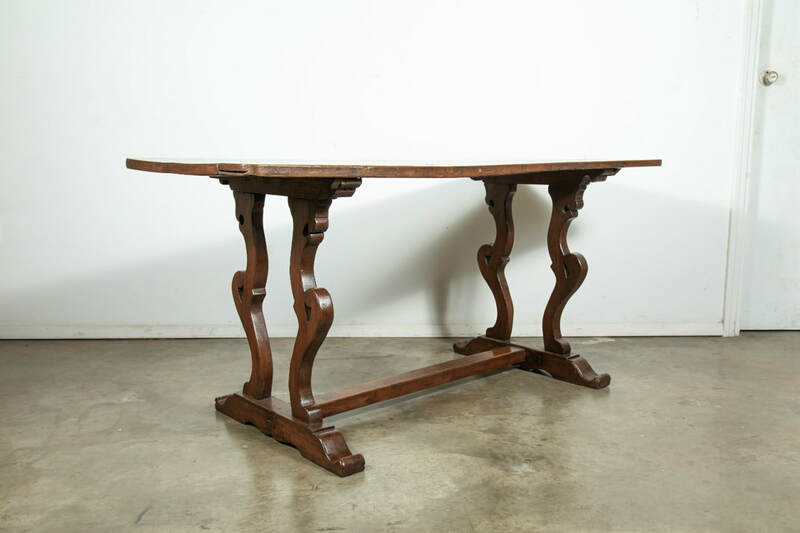 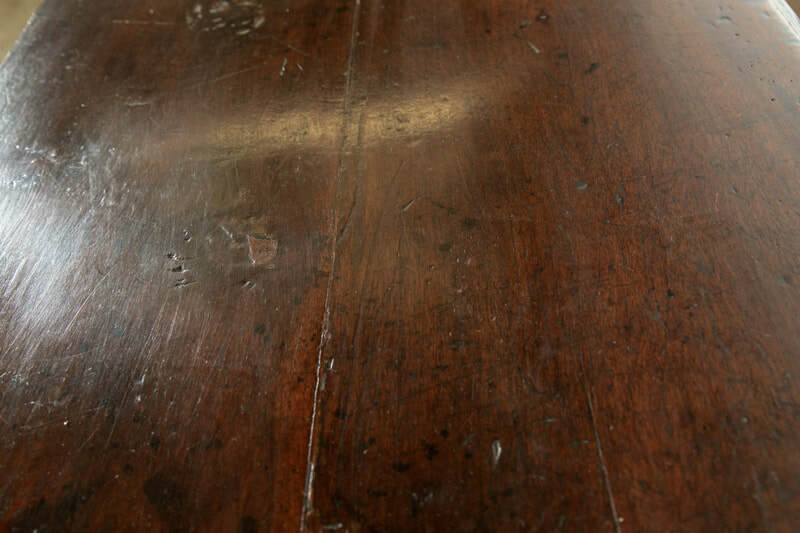 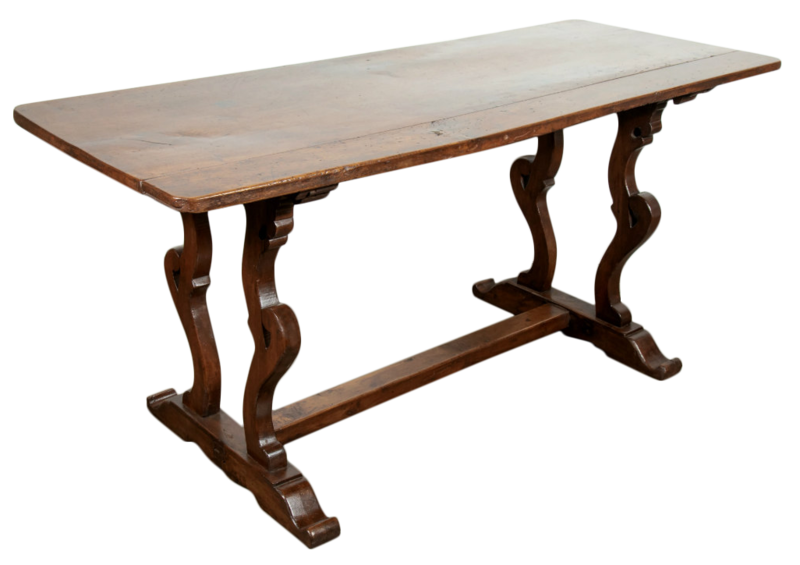 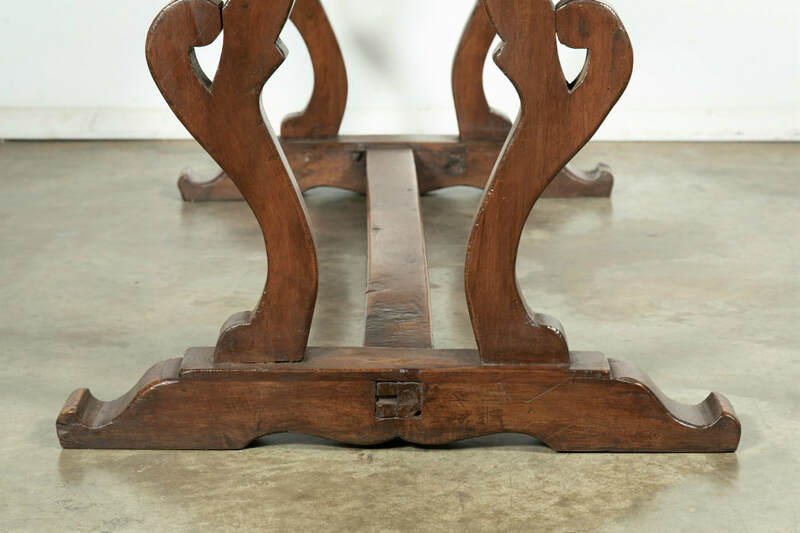 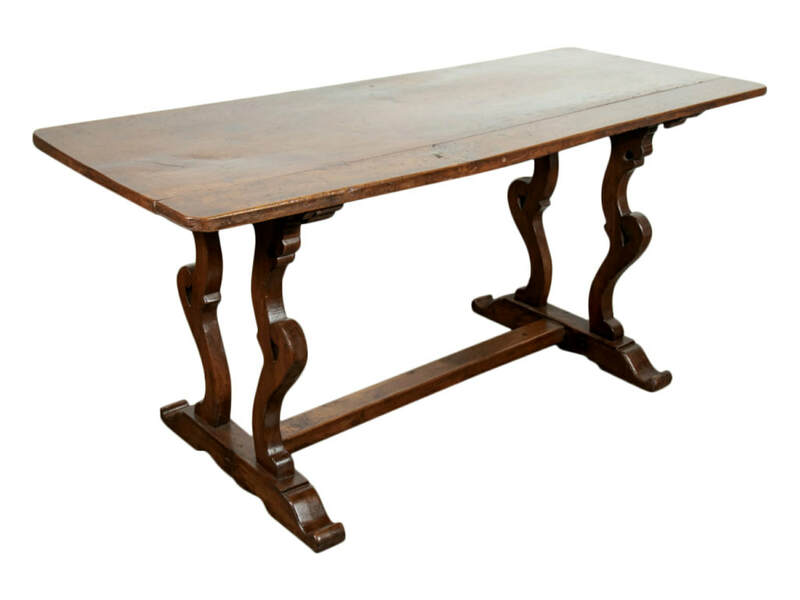 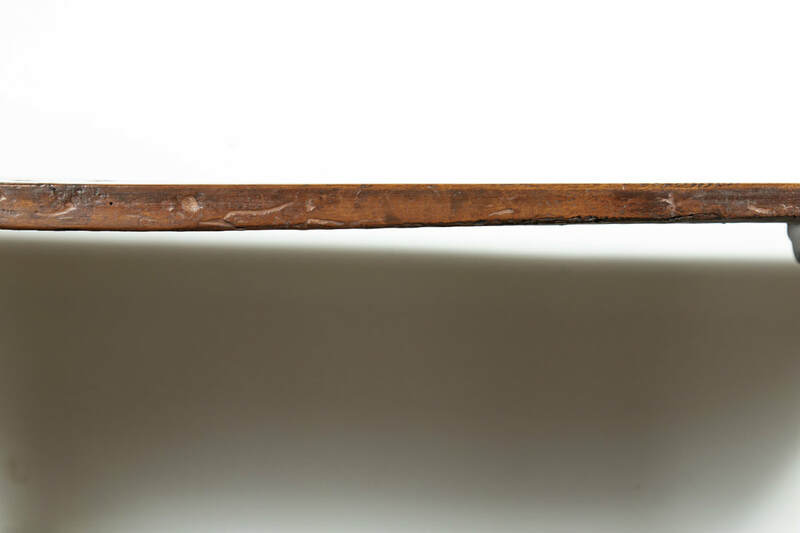 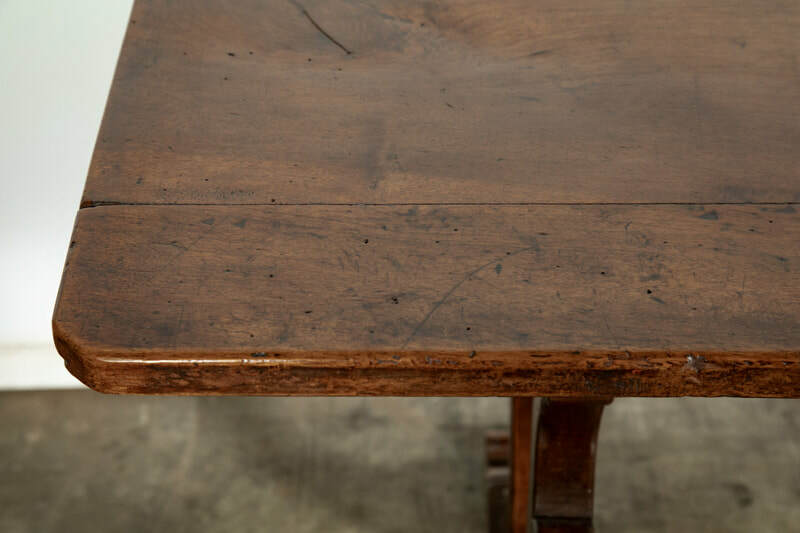 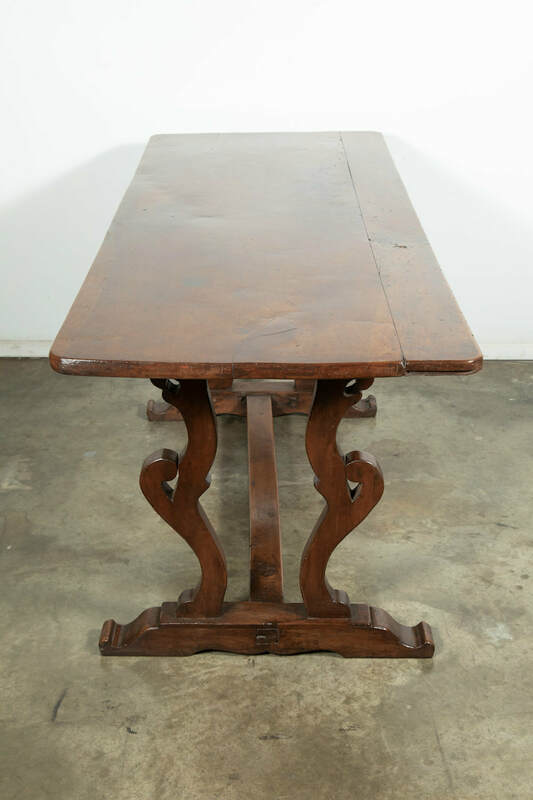 An exceptional 18th century Italian trestle base table handcrafted of solid walnut near Florence features a two plank top, having a trestle base made of shaped legs connected to each other with a cross stretcher. Rich and luminous patina. 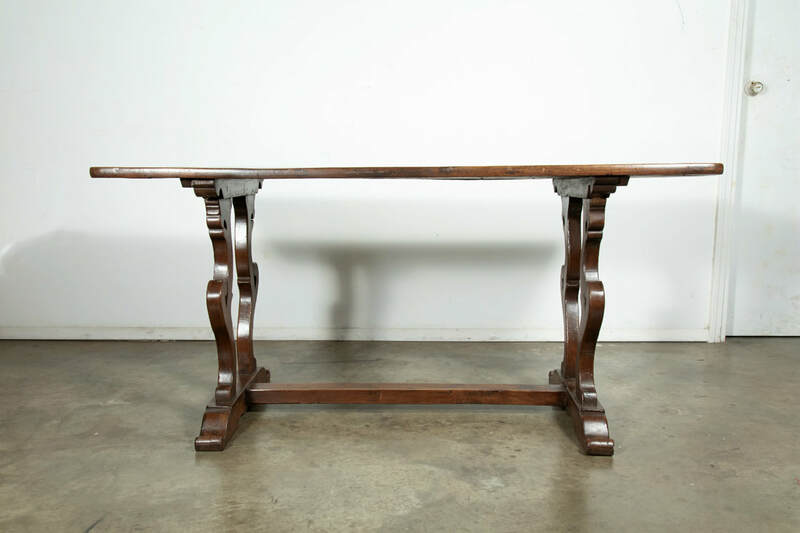 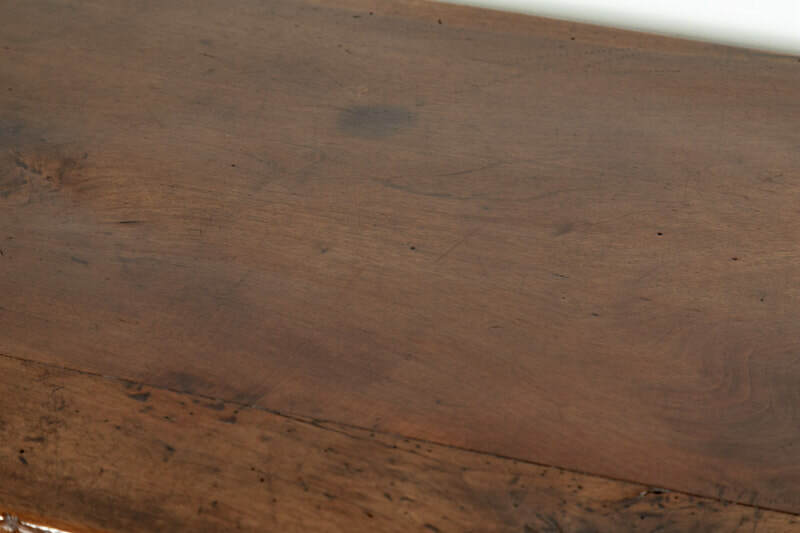 The narrow dimensions of the top make this table a perfect server, console, or writing table.